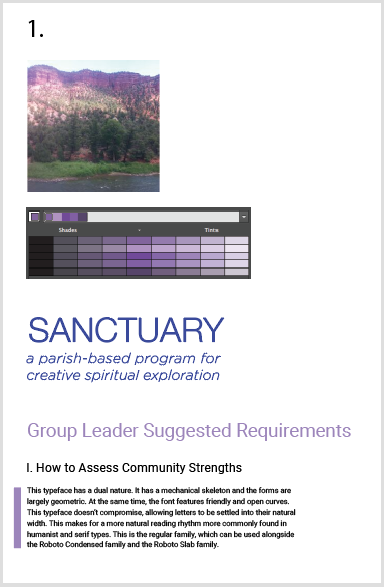 Problem: Artist and pastoral counselor, Marion Williams, needed an instructional guidebook to use for arts therapy workshops that she was offering in Manhattan. 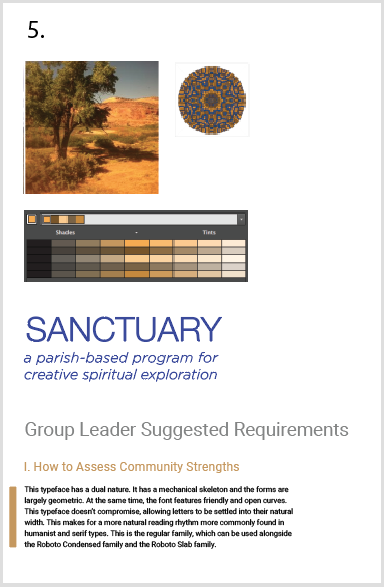 This workshop had a strong community outreach component. 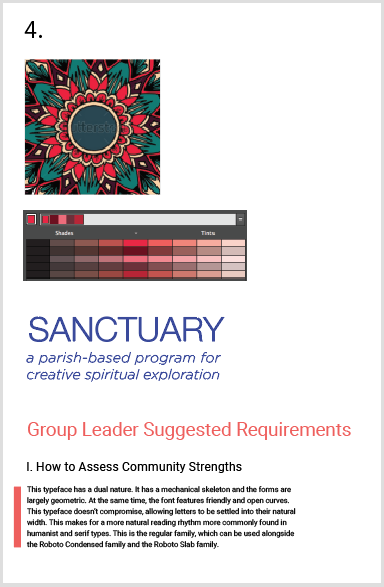 Marion also wanted this instructional book to serve as a curriculum guide for teachers and counselors that wished to help their students work through various hands-on art projects. Solution: We created a variety of typographic and page layout samples. These samples included photographs that were provided by Marion, as well as typographic layouts that selectively incorporated the color of the photos. The project included the design of a new logo, and the overall branding was later used in the design of a new website.